In the spring, rainbow and cutthroat trout begin their annual spawning process. In rivers and streams where trout are naturally reproducing, it’s important to avoid disturbing spawning fish during this time. These trout are expending most of their energy on spawning. Angling for spawning fish adds undo stress. Additionally, extra care should be taken to avoid damaging trout spawning areas known as "redds". 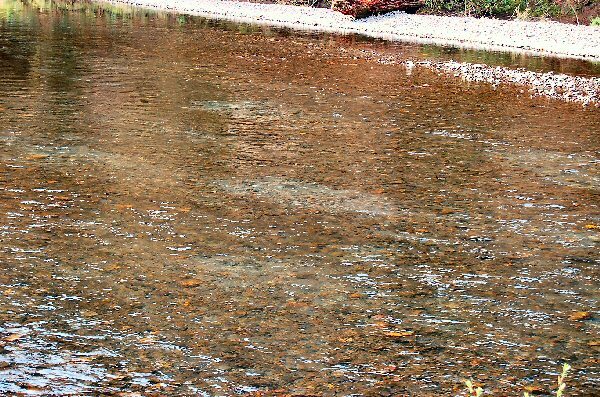 Trout deposit their eggs in a clean gravel bed where they are left to hatch in four to seven weeks. 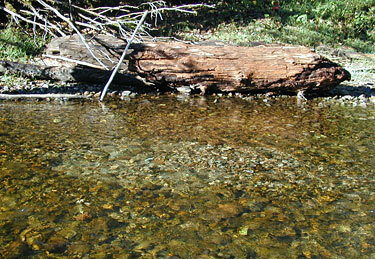 Wading through a redd can crush trout eggs or the trout fry that remain in the gravel for weeks after they hatch. By not fishing to spawning fish or disturbing their redds, anglers can help ensure strong future trout populations. The following tips will help you learn how to identify redds, spawning fish, and the locations where spawning fish build redds in a river. Redds are the nests of spawning fish. Clean oval patches of small to medium-sized gravel typically 2 to 3 feet wide. Gravel is lighter-colored than surrounding gravel. Small depressions and mounds in the gravel indicate nest sites and eggs. Riffles: 1 to 3 feet in depth with ample current to provide oxygen to the eggs. 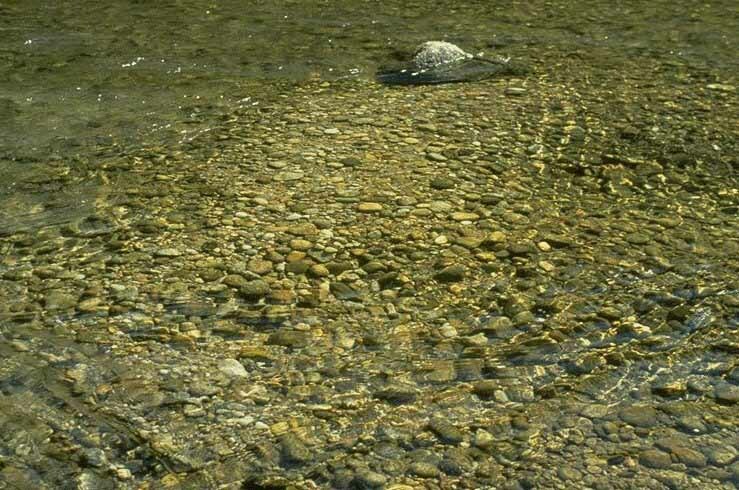 Gravel Bars: gravel bars allow eggs to sit among and below small rocks with clean water flowing over them. Fish hug to a site and refuse to move even if disturbed. Large numbers of fish are concentrated in shallow water over a gravel bottom. Fish are darker-colored than normal. Their bellies are dark instead of a light, silvery color. Fish will fight sluggishly because they’re expending most of their energy on spawning. Avoid fishing, walking, wading, and mooring boats in shallow gravel bars near islands. Don’t cast to spawning fish. Politely help inform other anglers about trout spawning behaviors. People will drive or walk across the river in the place its best for fish to spawn, top of the rapid, shallowest place, that's were the fish will spawn if the gravel is just right. just saw a spot yesterday, were there's nice gravel and an atv right across.